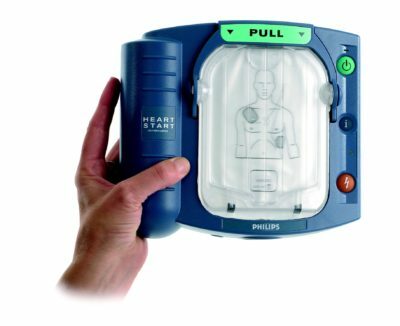 Laerdal HeartStart First Aid AED. The HeartStart First Aid gives you the confidence in knowing that you can save a life even before help arrives. Designed for use by everyone, at any time, at any location. Includes slim carry case, one set of Adult Pads and battery pack.